T-Mobile isn't the only U.S. wireless carrier hosting a press conference in June. Sprint on Tuesday announced a media event that will be held in Chicago on June 23 at 11:00 a.m. local time where CEO Dan Hesse will address the press. "This is Happy Connecting," the invite teases without providing any additional information. If we look deeper, however, we can make a few guesses what the carrier will discuss. The invite has icons splattered across it, one for messaging, another showing a camera logo, a heart icon and more. 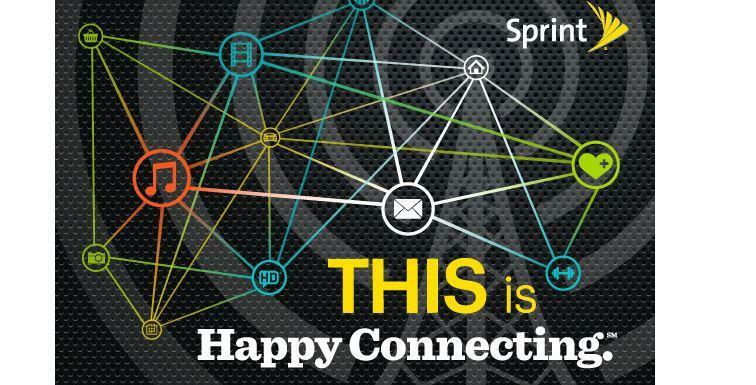 Presumably Sprint is going to talk about how it connects all of these things in our lives – messaging, multimedia, health and more – but we also see a small logo for "HD" which suggests the company may also talk about HD Voice again. In April Sprint announced that it will plan to roll out HD Voice this summer and through the rest of 2014, and this could be a perfect stage for it to announce new markets and how the effort is going so far. Also, all the connectivity hints suggest that maybe Sprint will go on the defensive against Verizon's new "XLTE" branding for its LTE network, and other carriers, perhaps taking time to discuss its Spark LTE network. We'll be covering the event to find out what exactly Hesse plans to tell us.